We live in a time of childish greed, where human creativity and the pace of technological change coupled with the assumptions that formulate the so-called wisdom of economics (i.e. that humans have unlimited wants) are now the greatest risk to the continued survival of our own, and many other species, on planet earth. Technological advances rapidly alter the way we humans interact with each other and the natural environment. And while there are many benefits to these advances, they are not without negative consequences, to the ‘natural world’ and our own health. As technology continues to erode the significance of national borders and the limitations that distance once posed, making more and more resources available at an ever-increasing pace, (to help meet the ever expanding unlimited wants and needs of the 7 billion plus humans now inhabiting the planet), one has to ask them self – is all this childish aspiration to fulfill our unlimited wants worth the cost? WE need to be vigilant in the protection of the viability of the natural systems we have been gifted as a consequence of evolution. The simple and fundamental requirements for clean water, clean air, fertile and uncontaminated soil for health giving food are all too easily lost sight of when society relies on a capitalist economic philosophy to provide for all the human needs. Given access to an unlimited supply of sweet, most children would gorge themselves to an early death courtesy of diabetes, fatty liver disease, obesity or heart failure. Children need guidance, limits, boundaries, and so do capitalists. Without wise, science-led intervention in naive market economics, humans will gorge themselves to death consuming their unlimited wants! We need strong, wise intervention in markets and the economy through the guardianship of government, creating boundaries to economic activity, we need regulations to ensure there are common sense limits to what we will do for a dollar. I’m all for a free society and I love the opportunities available in modern western democratic societies, but we must have rules in place to limit the liberties that people may take in the pursuit of short sighted business outcomes. That’s why environmental science is important! We must set limits! For example, on the use of chemicals in industry and mining, and we must have wise, qualified science professionals empowered by governments to help identify and remedy the damage done by unbridled capitalist aspirations, and adequately resourced regulating bodies empowered to make sure everyone is adhering to the rules. 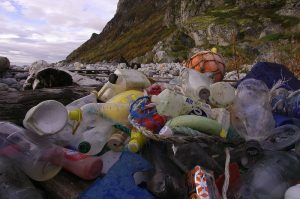 Take a look at the example of plastic waste. Just last night I was watching the news and saw a story came on about how the beaches in Bali were completely covered with plastic bags and bottles, and how tourists were disgusted and being turned off the once popular beaches because of the unbelievable mess being washed into the beaches every high tide. Meanwhile an under-resourced army of volunteer peasants, totally reliant on the tourist trade, were trying in vain to deal with the pollution by getting up early every morning to try and clear the trash from the beach. And yet we still have under resourced recycling programs because advances in the use of chemicals in plastic production make recycling “not economically viable.” Insanity! Stories like this are a harsh reminder of the consequences of not dealing with environmental challenges before the thoughtless consequences of our unbridled desire for profits and convenience destroy our eco-systems. Another story that has stayed with me from watching the news last year was how people in communities all over Australia were unwittingly drinking contaminated water on country properties adjacent to former and current defence force facilities, where the powers that be had inappropriately disposed of fire retardants decades before, allowing them to degrade into the water table, exposing ordinary families to a much higher risk of cancer. Another similar story was how in various suburbs around Adelaide where the industrial solvent trichloroethene (TCE) was disposed of by pouring it into the ground, allowing it to seep into the groundwater. Now homes are being evacuated and demolished because of the fumes leaching into them, many years after the contamination incidents took place and at varying distances from the original sites. 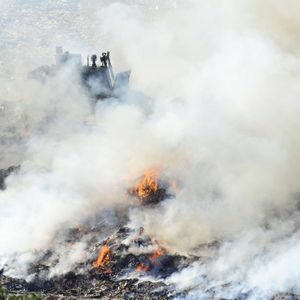 And yet another story that has stayed with me from last year, of how people living nearby the landfill areas in Queensland that have been regularly catching fire and filling the surrounding areas with toxic fumes. The incidents of exposure to toxic contaminants are many and varied. At best we could call it the unintended consequences of unbridled development, at worst we can call it criminal negligence. 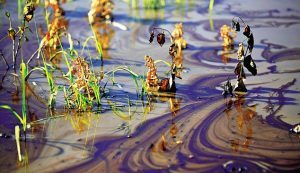 Even in developed countries like Australia, we still have problems with adequate environmental protection. The EPA in Victoria is under resourced. And we have seen a succession of conservative governments winding back environmental protections or finding ways to talk about, but never implement long overdue safeguards like the simple banning of plastic shopping bags! Jobs and economic development are important. But at what cost? Rushing development or industry without proper due diligence and environmental management, exposing people to unknown risks and society to the much higher cost of environmental remediation after the fact, or worse still, a permanently degraded environment, is just plain dumb! Our air, water and soils and the ecosystems that help sustain them are priceless! And the ever-increasing costs, both in terms of finances and human health of ignoring this fact flies in the face of common sense. 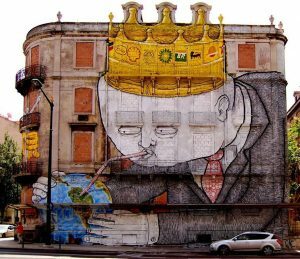 Are we short sighted, plain dumb, or is there some conspiracy place where the majority of people over twenty trade caring about the environment for the mundane economic rationality that flies in the face of common sense!